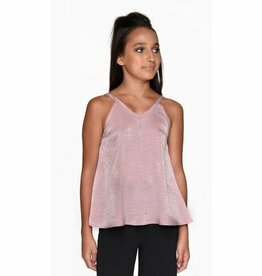 This tank comes in blush pink (pictured) and pale blue! Pair with a funky skirt or cool shorts. 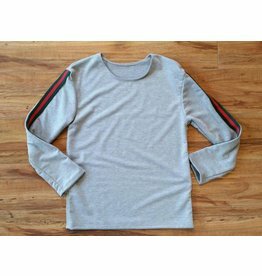 Check out the entire Gucci Inspired Collection! 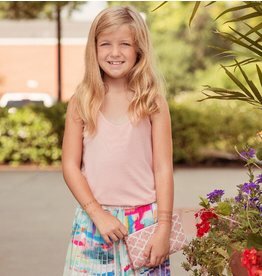 Check this top out with our Sally Miller black pants...super cute look! This cute strap tank features bits of sheer detail. Pairs perfect with white pants or our suede leggings and shorts! The perfect knit under tank for that dressier outfit. 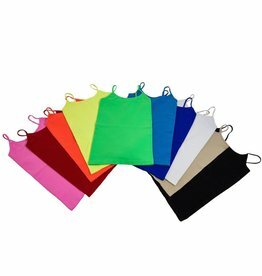 Camis available in an array of colors from Malibu Sugar Girls. One size fits most girls sizes 7-10. 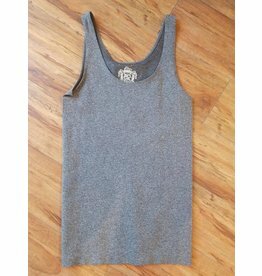 This fun sport tank has a twisted open back and a crew neck front. Love this oversized sweater....perfect for those fall days. Check out both color options and pair with some Mayoral distressed denim! Check out all the color options.